Here I am ready to show you my favourites from London Fashion Week F/W 2012-13. Bright colours, geometric and floral prints are the protagonists of this fashion week. Erdem, Holly Fulton, Issa London,Fashion East and Mary Katrantzou collections are all colourful and eccentric, Acne chooses pastels and distorted shapes, Christopher Kane and McQueen ( Sarah Burton, of course ) choose more gloomy colours like bordeaux, purple and dark green. Patchwork and unusual shapes are the main features of Westwood collection. Matthew Williamson proposes bordeaux, brocade, skinny trousers, metallic fabrics and multicolour furs ( faux, we hope! ) on the catwalk. My two favourites collections are Burberry and Moschino Cheap & Chic. Burberry catched my eyes with short bombers, high waist-lines and leather belts with a bow fastener; Mid lenght skirts and frills: Amazing! Moschino Cheap & Chic has captured my heart! Girlish and playful women with colourful jumpers and trousers; make up and feminine objects printed on dresses and coats, sequins, pompons and coloured collars for a 50s lady yet baby girl. Soft chiffon and romantic dresses and more funny ones as that one with a pair of moustache on it! Tell me your opinions, what's yoir favourite collection?? Eccomi qui per mostrarvi i miei pezzi preferiti della London Fashion Week A/I 2012-13. Colori accesi, stampe geometriche e floreali sono protagonisti di questa settimana della moda; Le collezioni di Erdem, Holly Fulton, Issa London,Fashion East e Mary Katrantzou son tutte colorate ed eccentriche, Acne sceglie colori pastello e forme distorte, Christopher Kane e McQueen ( Sarah Burton, ovviamente ) optano per colori più tetri ( e anche più invernali, potremmo dire! ) come il bordeaux, viola, nero e verdone. Patchwork e strutture inusuali sono le principali caratteristiche della collezione Red Label di Westwood. Matthew Williamson porta sulla passerella pantaloni skinny, bordeaux, broccato, tessuti metallici e pellicce multicolor ( ecologiche, si spera! ). Le mie collezioni preferite sono state Burberry e Moschino Cheap & Chic. Burberry mi ha colpita per i bomber corti, la vita alta segnata da cinture di pelle con chiusura a fiocco; Gonne al ginocchio e volants: Fantastica collezione! Moschino Cheap & Chic mi ha catturato il cuore! Donne femminili e giocherellone con maglioni e pantaloni colorati; make up e oggetti prettamente femminili stampati su abiti e cappotti, lustrini, pompons e colletti colorati per una lady anni 50 ancora un pò bambina. Delicati vestiti in chiffon e abitini più divertenti come quello con labbra e baffi! 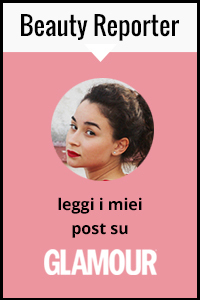 Mi piacerebbe avere le vostre opinioni, quali sono le vostre collezioni preferite? I love ACNE. Ideal post. Can I have the Mc Queen collection, the Burberry collection, the M. Williamson collection, the J. Rocha collection, The Holly Fulton collection and the PPQ collection PLEASE ? No seriously I love this post !! I love them all! So many amazing colors and prints! Acne is pure stunning ! love acne and also your blog! It's so nice!!! I follow you! So much to be inspired about! Loving all the bold colors and prints! love london fashion week! to die for!! I'm so in love with the acne collection! Ottime scelte, bellissime collezioni ! I love a lot of things you've posted here. Naming one, the last dress is amazing!